A new report claims that Apple’s 4 inch so-called iPhone 6c will sport a 1,642 mAh battery, which is slightly larger than its predecessor, the iPhone 5s. According to Chinese blog MyDrivers, which carries a mixed track record, the new device will have larger battery than iPhone 5s’ 1,570 mAh battery pack. Sourcing the details from “insider Foxconn employees,” the report claims that the new device will sport an A9 processing chip, 16GB of storage, Touch ID, and a 2GB of RAM. Except for the battery details, all the other iPhone 6c features have already been reported in multiple rumors. The report also confirms earlier rumors of the device using the same 2.5d curved glass used on iPhone 6 and later devices. If a 4-inch iPhone 6c is indeed in the works, Apple’s supply partners will expectedly begin production in January next year. Multiple sources have indicated that Apple will release the new device at its event in March along with a second generation of Apple Watch and possibly iPad Air 3 too, which is rumored to be released without 3D Touch technology. The same source had leaked China Mobile’s roadmap last week, revealing the 4-inch iPhone (dubbed in the report as iPhone 7c) scheduled for an April release in China. Earlier reports have suggested that Apple’s 4-inch iPhone 6c will feature an aluminum casing like the iPhone 5s with a few color choices. Apart from the above mentioned features, the upcoming smartphone from Apple will also feature an 8-megapixel rear camera, a 1.2-megapixel front shooter, 802.11ac Wi-Fi, and Bluetooth 4.1 according to various rumors. 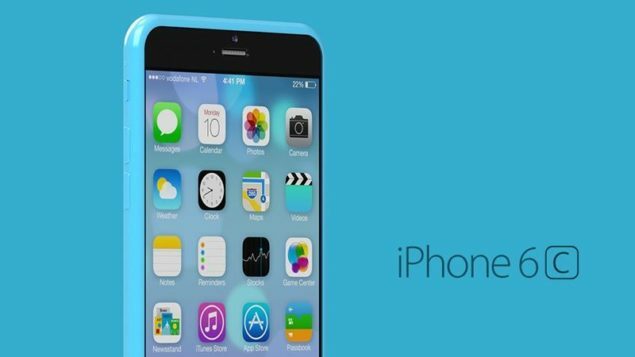 The iPhone 6c To Be Called iPhone 7c Instead; Launch Now In September?